The Aqua Scale is a useful device that combines a couple of baby-raising tasks quickly and easily. It’s a tub that can be filled with water, and can weigh your baby down to the gram or ounce. Being a new parent is, needless to say, stressful. So, it’s always nice to see technology lend a helping hand in keeping the newest members of the family happy and healthy. Germs are everywhere, and kids seem especially adept at finding them and spreading them like little plague vectors. Mom and dad don’t want that. 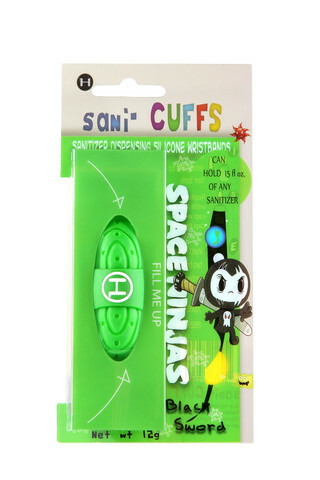 HALO Sani-CuFFS might just help mom and dad out. It used to be that parents restricted candy from their kids because they didn’t want them to get cavities, but it looks like that is all about to change. CariFree’s Xyli-Tots Lollies are cavity-fighting lollipops that parents should actually encourage their kids to eat. These lollipops come in five flavors like cherry chuckles and grape giggles. The secret weapon inside the Xyli-Tots Lollies is a sugar substitute that targets cavity-causing bacteria and decreases acidity. But these lollipops aren’t just for kids, they can be just as helpful for adults to who want to fight cavities.